brandflakesforbreakfast: royally sick of royal baby news? royally sick of royal baby news? 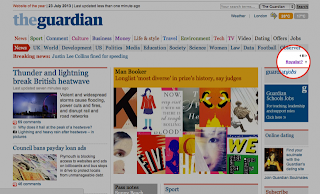 If you're like the millions of other people, British, American or otherwise, completely sick of hearing about the royal baby already, you will like this nifty little filter from The Guardian. 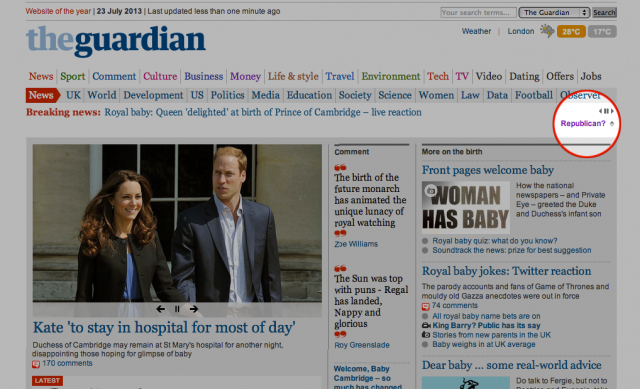 Click Royalist and you'll see baby news in your news stream. Click Republican, and the baby news is gone. Simple as that. They do make a filter for your social sites!